These days, most kids use their fingers to swipe an iPad. But unplug and let kids flex their storytelling skills, and those little digits with some open-ended, imaginative play via these adorable finger puppets from Mudpuppy. 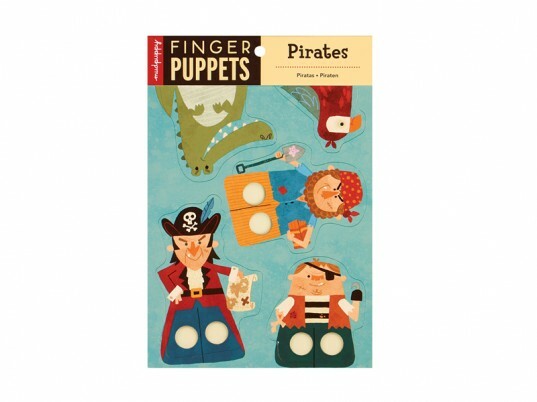 Available in several thematic varieties, from pirates and princesses to hometown heroes and forest animals, each set of five puppets is made with 90% recycled paper, is phthalate free, and is printed with nontoxic inks. 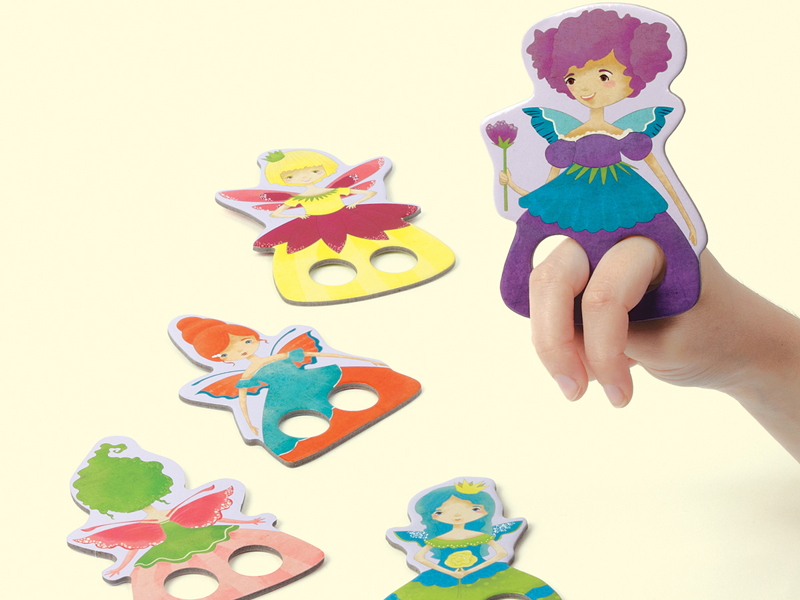 Countless tales untold will unfold by slipping the sturdy, double-sided characters onto a child’s fingers. The best part is, the puppets can be easily packed in a purse, diaper bag or carry-on to keep kiddos entertained while waiting for the doctor, or waiting for takeoff. At just $6 per package, your pint-sized puppeteer can collect the entire cast of characters — and they’d make great green birthday party favors as well. Countless tales untold will unfold by slipping the sturdy, double-sided characters onto a child's fingers. The best part is, the puppets can be easily packed in a purse, diaper bag or carry-on to keep kiddos entertained while waiting for the doctor, or waiting for takeoff. At just $6 per package, your pint-sized puppeteer can collect the entire cast of characters -- and they'd make great green birthday party favors as well. These royal princesses will find a fitting castle wherever your child takes them. Any outing can become an action-packed backdrop for these hometown heroes. Halloween is around the corner, and these silly monsters would be a great gift for those in search of an alternative to sugary treats.